Unifying social with an ecommerce platform to create a digital space where users can engage and be inspired by Dorset Tea. 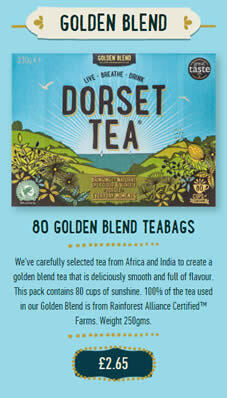 Dorset Tea is a premium blend of quality teas from Africa, Sri Lanka and India, selected for their strength, quality and flavour. The tea was created in 2009 to celebrate the 75th anniversary of the company and has grown from a regional tea brand to one which enjoys national distribution. To celebrate the launch of a new range of green tea and fruit & herbal infusions, Dorset Tea needed a new website to engage with online users and showcase the new rebranding work. The site’s primary objective to generate sales was met through the Tea Shop; a section of the site that incorporated the use of larger imagery as well as review usage, micro interactions (Drinking Tea) and an emphasis on typography - four strategic aspects of the site that span across all channels and follow recent ecommerce trends. Descriptions, flavours and favourites were the audiences lure to connect with Dorset Tea products and were also used to showcase a new product range within the site. Wireframes defined the sites information hierarchy and functionality, concentrating on branding and how this translates into content that encourages a user friendly journey and a high level of engagement. With a social media link menu, search bar, shopping basket and contact us shortcut at the top of each page, the user can access the most important content with ease. Combine that with the quick hide menus and internal linking within relevant pages and you have seamless navigation throughout. The site was designed to reflect Dorset Tea’s mission to bring the natural life, colour and vitality of Dorset to everyday moments. With wireframes created to define the site’s information hierarchy, the next step was to actually build the site. Shopify and a MODX CMS were used to build the website in order to produce a site that was fully integrated with social media and ecommerce. A ‘brewing blog’ was created to engage users on the site and provide continuously fresh content. An online retail environment, appropriately named ‘The Tea Shop’, was created to transform this engaging and colourful website into an ecommerce site. Sticking with the informative and educational theme of the site, The Tea Shop allowed users to learn more about each tea before purchase. 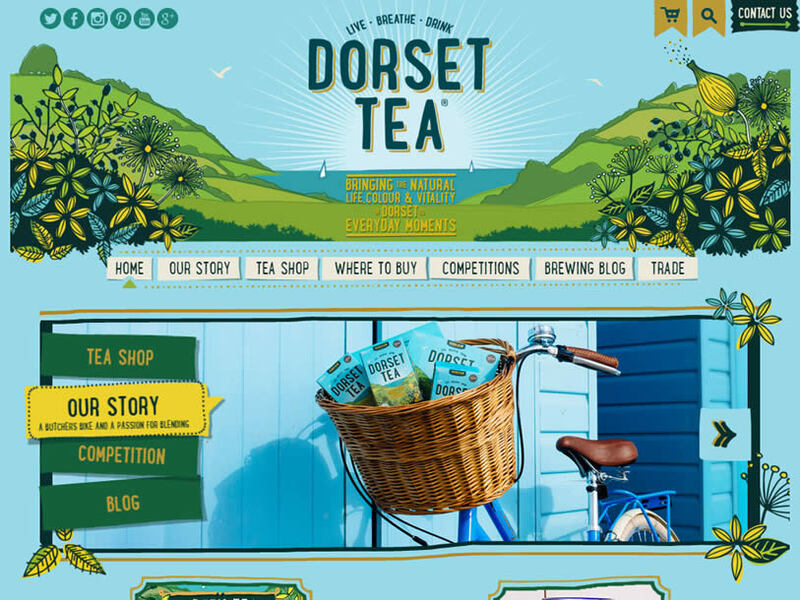 Combined with the emphasised brand story, blog and competitions, this allowed the user to develop a real relationship with the Dorset Tea brand through the website. Finally, a search engine optimisation strategy ensured the site had a real presence online, was easy to find and attracted the right users to the relevant areas of the website. The primary focus of the content produced was to engage the audience and drive sales. Pineapplefish wanted to use social media to improve brand awareness and increase brand engagement, promoting itself as the premium holiday villa solution on the beautiful Anna Maria Island.